Moving from digital output to traditional art media and permanent, pleasing output raises several issues. In this piece, a homemade, three-axis milling machine and a plotter were used to generate the third depth. With a cone-shaped bit, the depth was translated into line width, then a plane was defined, covering a fractal line, and attached to a depth/width pattern, which is repeated along its course. This was all done in a few lines of code. Fractals can be beautiful, yet simple. The resulting coordinates, translated into step-motor input, direct the bit into the maple in one single path from start to end – an elegant process, adapted to the tools at hand. 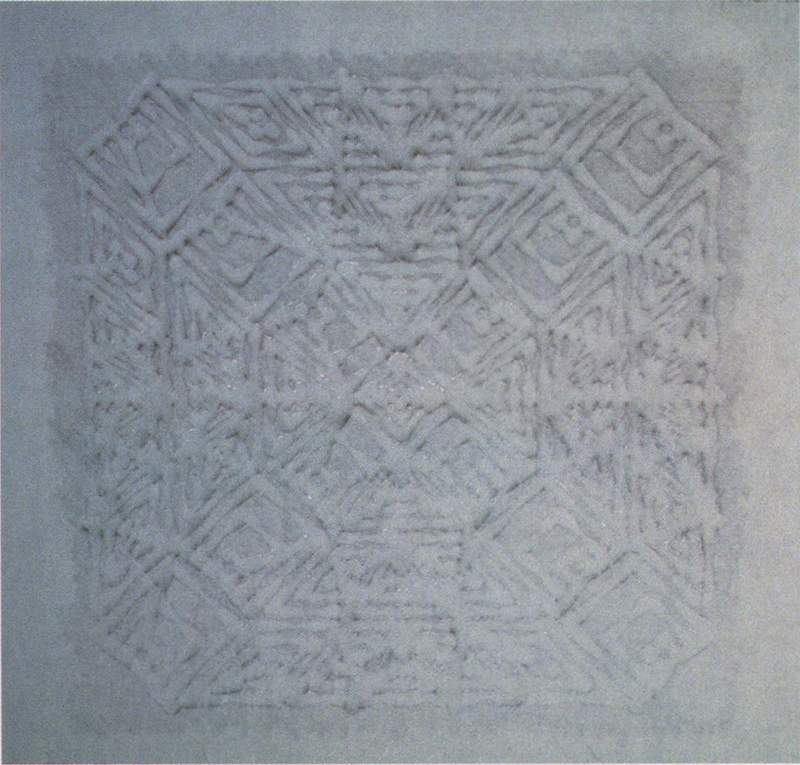 The resulting carved woodblock can be the source of many pleasing experiments. This piece is but one of many possibilities: a frottage or rubbing, as done by petrographs, archeologists, Chinese scholars, and artists. Max Ernst in particular was fond of the medium: “Histoires Naturelles.” The graphite lead rubbed on the sheet laid over the block marks only where wood was not removed.